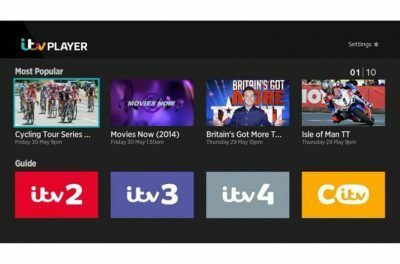 In this super simple but highly effective guide, we’ll show you how you can watch ITV Player from abroad without breaking the bank. Most people would jump at a chance to live in England, except for some Spaniards of course, and for good reason, the one great advantage of living in Britain for an extended period of time is that people living in Britain are able to watch British-based TV without much trouble (though sometimes have to pay through the roof to get decent event coverage). Of course, we’re talking about the golden age of British television. Some of our older readers might be able to recall a certain Channel 3 (rebranded as ITV now) that produced and then broadcasted so many excellent TV programs. Subscribers could watch all the useful content they could ever want on the older Channel 3. The current ITV channels aren’t that bad either when compared to the older Channel 3. You can watch all your favorite movies, TV programs and documentaries on ITV without any interruption if you know how to make the system work for you. But what if you’re a Brit and want to watch ITV Player from abroad. There are countless possibilities as to why someone would want to watch ITV Player from abroad. You don’t even have to be a Brit in order to watch ITV player from outside Britain. You could be a Brit who might have gone off to far off places in Europe for a holiday or even shifted abroad for an indefinite amount of time. You could have bought a new home in Spain or might have settled in with your relatives in Portugal. All these scenarios lead to one thing and one thing only. How to watch ITV player from outside the United Kingdom. Or More specifically, how to watch ITV player from outside the United Kingdom regardless of your location. You could be anywhere on the planet for that matter. You could be in Spain or in Germany or even in France, USA or Mexico, there is a way to watch ITV player from outside the UK without much effort. You could live anywhere in the world and still access the latest and the greatest on ITV player from abroad without an expensive subscription. But to watch ITV player from outside the United Kingdom, you need to really know your way around these cable operators. As of this moment in time, the average online user can’t directly access ITV Player in any other region on the planet apart from the United Kingdom. So right now, there you should be asking yourself just one question and one question only and that is: How to watch ITV player from outside the United Kingdom assuming it’s possible at all. Well, the great news as far as watching ITV from outside the United Kingdom is concerned is that you can watch ITV player from outside the United Kingdom with the use of a service known as a VPN service. Yes, you read right. To watch ITV player from outside the United Kingdom, all you really need to do is to buy a VPN service and then turn it on. The rest of the procedure is fairly simple (not that the procedure of setting up a VPN service is difficult by any stretch of the imagination) and is pretty much self-explanatory. ITV Player can only be accessed from within the United Kingdom. Unless you know everything in this guide. Nevertheless, we’ll explain all the steps you need to take in order to watch ITV Player from outside the United Kingdom without paying through your nose. First, let’s just clear a few key concepts. 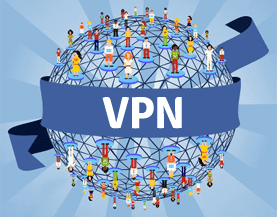 A VPN basically stands for a Virtual Private Network and is a system that was originally designed by data security companies for businesses to allow the employees of those businesses to travel abroad and still be able to access the computer in their office over a secure internet connection. Those days are well and truly gone now and as of this moment in time, there are literally thousands of VPN services available in the market for you to choose from. Of course, we’ll help you to make the best and most reasonable decision when signing up for a VPN service. Most of the VPN services that are available for download now are multifunctional in the sense that they offer much more than simple protection and unlocking abilities. Modern VPN services can unlock any piece of content whether written or video that might be region locked by its producer or creator. In other words, a VPN service can allow you to access and watch ITV Player from outside the United Kingdom without going through any complex procedures. You might still be thinking that what does a VPN actually do that enables to unlock region-locked content and secure your data transfers. Well, all you need to know at the moment is that the operation of a VPN service if very straightforward if you know your cyber security. Of course, you don’t. So for now, just rest assured knowing the fact that a VPN service enables users to connect to the internet through a secure server that encrypts your connection and sends your data through a third-party server that is located someplace else in the world or in the place of your choice. So in our case, if you want to watch ITV Player, which is only available to people who live in the United Kingdom, you would want to connect to that VPN server that is based in the United Kingdom. A VPN service can unlock so many doors for you. What’s more? Once you connect to the VPN server that is located in the United Kingdom, all of your online activities for that specific session will appear to other monitoring systems as though you are engaging in them from inside the boundaries of the United Kingdom. To put it another way, when you’re connected to a VPN server that is located in the United Kingdom, the websites you visit would think that you’re accessing their content from the United Kingdom instead of from, say, Panama. Does that sound complicated? If it does then don’t worry. 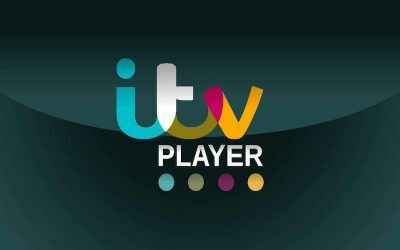 You’ll get the hang of it after you have gone through this super simple but effective guide on how to watch ITV Player from outside the United Kingdom. For the moment though, you might want to check out the video listed below in order to have a better idea on how to use a VPN service to watch ITV Player from outside the United Kingdom. Readers should also know that a lot of VPN service providers nowadays offer their services in the form of a software application which is simple to download and then install on your operating system, whichever it might be. Most of the VPN services are now available for a wide variety of computers and operating systems including Windows, Mac, and Android. Yes, you read that right. VPN services are also available for mobile operating systems such as Android and iOS. You can even run VPN services on your tablet and smartphones. As indicated earlier, once you have connected to a VPN server in the United Kingdom, all the websites including the ones that allow you to stream content from their site, would think that you’re accessing their content from the United Kingdom. As a result, you can watch ITV Player and all its programs to your heart’s content while sitting somewhere in Asia without having to move to the United Kingdom. We’ve already established that you can watch ITV Player from outside the United Kingdom using a VPN service. What we haven’t told you is that you can also access other online services such as BBC iPlayer without incurring any additional costs. Read on to find out how to sign up for a VPN service. After that we’ll explain that why online streaming services like to irritate online users by blocking content that they actually want to show you (if you’re in the United Kingdom that is). First off, let’s talk about money. If you sign up for a reputed and reliable VPN service, you should expect to pay around £4 to £6 per month. That translates to about $8 to $12 USD, just in case you were wondering. Of course, you could always go for a VPN service that might cost loss or even better, sign up for the premium ones for longer, like a year, in order to qualify for massive discounts. Almost all popular VPN services will enable you to do much more with your computer and an internet connection than just watch ITV Player from outside the United Kingdom. We won’t divulge on those additional benefits here because we want to focus on how you can watch ITV Player from outside the United Kingdom. As far as VPN services go, we recommend IPVanish because this VPN service is quite simple to set up and has an intuitive user interface. IPVanish offers state of the art technology as far as encryption is concerned and their customer support is really top of the line. You can go and sign up for their service here. Of course, there are many other VPN service providers in the market who all claim to be the best in the world. We have already told you that we recommend IPVanish as far as VPN service is concerned, but you can make up your own mind by reading this VPN service guide. Moreover, you should keep in mind that if you gain a bit of knowledge about VPN services and how they work, you are more likely to make a better decision. As indicated earlier, the VPN service market is huge and there are literally tons of VPN services out there waiting to snap you up and again, we would tell you to read this guide in order to make the best possible decision for yourself. By now you should have signed up for a VPN service and should have followed the excellent guides on the VPN service to set it up for your machine. When you have activated the VPN service, you should be able to bypass any restrictions placed on any content in the world. You should also have access to ITV Player just like the video above showed you. 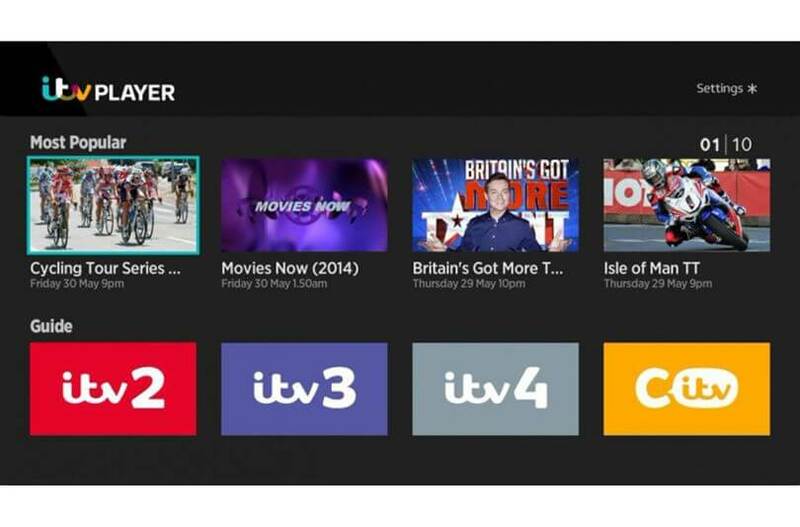 Now, if you want to watch ITV Player from outside the United Kingdom then you need to enter a UK postcode when visiting the official ITV Player website. Once you have connected to the ITV Player website, you can enter any UK postcode so don’t worry about choosing a specific one in order to look rich. Got it? Great. Let’s keep moving because we’re near the finishing point now. Why Do Websites Block Content Such As That Of ITV Player And What About ITV Player Packages. We’re going to go on a limb here and say that you probably have tried to access ITV Player before, without using a VPN service, and have felt the crushing disappointment of being greeted by this error. Among the many mysteries of the world, there is the one about why ITV Player is blocked for people who reside outside the United Kingdom. If you really think about it, most (if not all) ITV Player programs are paid for through revenue generating techniques such as advertising and exclusive broadcasting rights. If you know anyone who lives in the United Kingdom or are one yourself, you probably know that you don’t have to pay a license fee in order to watch ITV Player channel. You might have to cough up some dough for BBC, but for ITV? No. Of course, there is the other side of the argument that advertises produce their ads that are aimed towards the British population and might not get enough return on investment if those same ads are shown to people outside the United Kingdom. The counter argument is that what if you are outside the United Kingdom on a holiday or have just moved outside the United Kingdom permanently because of your job or your relatives but still want to be able to watch British channels without paying for an expensive cable subscription abroad. So that takes care of your location but why can’t you actually access these websites when not in the United Kingdom? Well, the reason is that most websites are tracking your location and basically know that you’re not in the United Kingdom. See, a user that connects to the internet has an IP address that is unique to that individual user. Think of it more like your phone number. So when you visit a particular website, the website knows that it has to show you the content and not someone else. Web sites use your IP address to determine your physical location i.e your country. For what it’s worth, ITV has tried to help consumers who aren’t in the UK by launching a new online service by the name of ITV Essentials. ITV Essentials offers a limited number of TV shows such as Coronation Street and Emmerdale. There are probably people out there who hate these shows and probably don’t want to be near any show that even resembles one of these shows. Plus, there are literally hundreds of TV programs out there that you cannot access even when using ITV Essentials. And on top of that, you still have to pay £1.29 per program per month. That doesn’t sound like a good deal at all. Let’s assume that an unfortunate soul wants to waste away the limited hours in his life by watching five episodes of the hugely popular TV Show Downton Abbey. If you want to watch that amount of content through ITV Essentials then you’re looking at somewhere between £14.22 per month. That sounds more like a rip-off than a streaming service. What if you wanted to watch bits and pieces of other TV programs? That is why you need a VPN service so you can mimic a UK IP address and hence access everything on ITV Player without paying so much money. With a VPN service, you would be able to watch ITV Player from outside the UK. It wouldn’t matter if you’re in the United States of America or Spain or Germany or even Australia. You could be in Russia and still able to access ITV mainstream services. If you have any other questions, do let us know in the comments below.